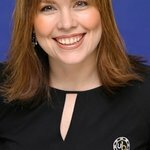 Poker star Annie Duke is currently appearing on Celebrity Apprentice 2 to raise money for Refugees International, and she is blogging about her experiences. Every week Duke writes about what goes on behind the scenes of the show, which sees celebrities such as Dennis Rodman, Brian McKnight, Joan Rivers, Melissa Rivers, Clint Black, Tom Green, Khloe Kardashian and many others raising money for charities such as the Boys' and Girls' Clubs of America, the Lili Claire Foundation and StandUp For Kids. As well as writing about the show, Duke is also guest blogger for Refugees International. “I find it kind of shocking that there is more attention to the poker tournaments I participate in than in the tragedy ongoing in Darfur,” she wrote. "Since 2003, nearly 2.5 million people have been forced out of their homes, living in makeshift huts in large, sprawling camps in this western region of Sudan. Up to 400,000 people have been killed according to some estimates. “A few years ago, Don Cheadle and I were having lunch in Los Angeles and started talking about the crisis in Darfur. He had just released his book Not on Our Watch and was actively campaigning for more attention and meaningful action on Darfur. I felt that what was happening in Darfur was so horrible, and just said, “Nobody knows what’s going on in this part of the world. We should do a poker event for them.” At the time I thought it would raise around $25,000 or $50,000. This small idea turned into Ante Up For Africa — a hugely successful celebrity-studded series of charity poker events that has raised $2.5 million since July 2007. “This year, I have added Refugees International as one of our partners. Why? Because organizations like Refugees International affect lasting change. Governments can do more to help refugees in Africa and around the world, but that’s not going to happen without pressure. “It makes me even more excited to be supporting Refugees International knowing that the organization is celebrating its 30th Anniversary. For thirty years, the organization has demanded that policy makers save lives and respond to crises that the world is neglecting. Their work on Darfur is one powerful example. “In 2004, the fighting in Darfur had barely registered on anyone’s radar. However, Refugees International knew that hundreds of thousands of people had fled Darfur and crossed the border into neighboring Chad. They traveled to Chad where they discovered that some of these Darfur refugees were near starvation. Agencies had underestimated the number of people in need and were distributing too few supplies. “Tell the world what is happening to us,” one of the refugees said. “Refugees International did as they were told. They immediately called on the United Nations and aid agencies to address this problem. Within weeks, the number of refugees receiving assistance rose from 110,000 to 200,000. “Since then, through op-eds, media interviews, and meetings with elected officials and aid organizations, RI has continued to urge more action in Darfur. They’ve convinced agencies to increase reproductive health care services for Darfur’s women. They’ve successfully called on Congress to fund a stronger peacekeeping force that can protect people living in desolate camps from more attacks. And today, they’re working to make sure that the U.S. does not forget about the people of South Sudan with their fragile peace agreement – there will never be peace in Darfur if another region of Sudan returns to war. “This is why Refugees International calls itself “a powerful voice for lifesaving action.” And this is why I’m proud to help strengthen that voice." Annie Duke’s blogs can be read here.